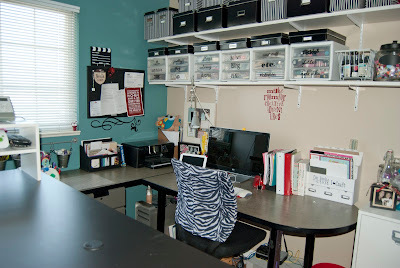 [Found this post in draft mode from five years ago and thought I'd share that once upon a time my craft room was clean. Scroll down for the reality that is NOW!] Welcome to my craft room & office!